Now safer, stiffer, & lighter than ever. 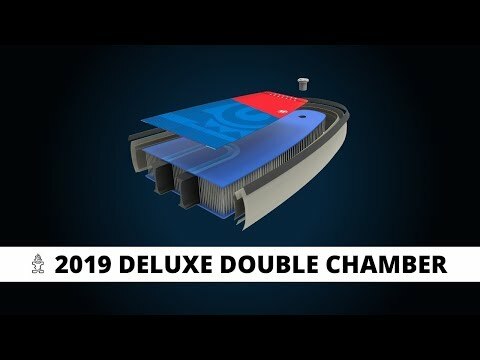 The Deluxe Double Chamber iSUP Technology brings the inflatable stand up paddleboards one step closer to a hardboard feeling. The Double Chamber stiffens the board significantly, thanks to the double side walls around the second chamber. The second chamber also offers extra safety floatation for emergencies. 10 QUESTIONS EVERY FIRST-TIME SUP BUYER SHOULD ANSWER!